Microsoft Dynamics CRM is an integral part of any company and due to its extensive demand, market is full of many alternatives. SalesForce is also one of its form that is much in demand, but there are few difference between them. For a company, customer relationship management acts as a cornerstone that helps in the effectiveness of its operations and enables better understanding of the needs of the customers. Not all CRM systems are created equally and leave companies with a question, that which system actually makes sense in their technology, budget & staffing environments. While, there are many companies entering the market place with different prices and capabilities. 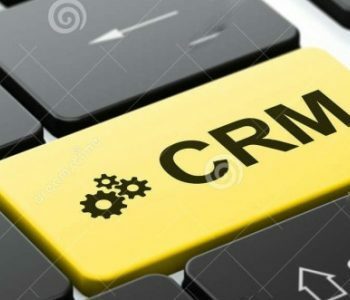 In this article we will discuss about the two major players: Microsoft Dynamics CRM and Salesforce that are held responsible for the relationship with the customer. 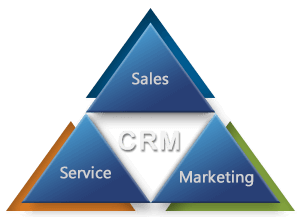 Both of these CRM systems dominate the market and are constantly coming up with new releases to create a differentiating factor. For Salesforce, one doesn’t require any technical know-how, as it is built with a user-friendly interface. The main purpose of its use is for funnel management & reporting. A highly dedicated administrator can take great advantages of it and can even enhance its use in multiple departments through “clicks not code”. This aspect of Salesforce permits you to make changes and for this you don’t even needs to be a developer. And, in case of Microsoft Dynamics CRM, configuration by an administrator is allowed, it is more labour intensive and also coding is required to perform even a simple like creating a workflow. In Salesforce ironically, an admin or developer costs much higher as compared to a Dynamics CRM resource. This price varies due to the development features of both the softwares. Large community of Salesforce has been established that expands its app store to its Sales Success Community, where multiple independent blogs & YouTube channels are updated at regular intervals. And the app store alone has a number of add-on applications that are necessary for the improvement of the platform for the specific industry needs. Microsoft Dynamics, may reach to this level someday, but is not there yet! Its YouTube channel is not an intuitive or well-stocked one. For this, your employee will need to get involved in GitHub and some of the other online resources for the improvement packages. Salesforce, comes up with the improvements and new features at regular intervals, three times a year with greater advancements. It remains attentive when a question is posted on its community, where the new ideas are posted and voted by the people. Microsoft Dynamics, releases are not upto the level of that. But there are reasons for which it is recommended to buy Microsoft: The coding language used is a familiar one and companies can also bring the systems on the premises rather than keeping the customer data on the cloud. In case, you want your employees to keep their concentration on the other projects and the data should remain in the cloud only, then Salesforce is strongly recommended. It is always looking forward for ways of improvement at both the ends: front and back. Whereas Microsoft Dynamics is much focused on other larger number of products rather than this. But now, Microsoft has come up with certain improvements and have allowed Salesforce to work on Microsoft 365 platform.